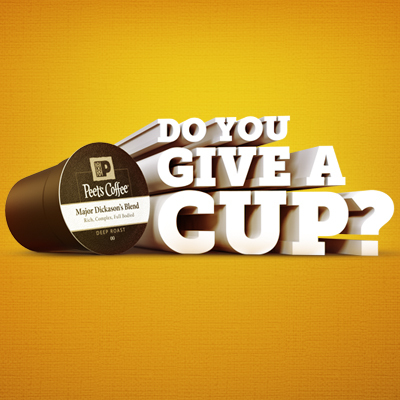 Peet’s Coffee recently approached me about a program they have going on called “Do You Give a Cup?” where they want people to write what essentially boils down to a personal interest piece about something they care about. After a bit of thinking, I decided to participate because there’s one thing I really do care about these days: you. Recently, I decided to really start focusing on Geek Fitness again. And while part of that is selfish–I work out more when I’m blogging–a lot of that is based on feedback I’ve received from readers. At 8 weeks I am 20 lbs down and am going strong. […] I cant thank you enough for these guides. They seriously changed my life. I stumbled upon it March/April of this year and it such an inspiration. […] I have dropped 37 pounds so far and I feel great.Just wanted to say thanks! These kinds of emails make me want to keep writing. Because I started this place so that I could help people. I know how hard and scary it can be to get started in changing your life. When I found something that worked for me, I wanted to share it with other people who might not have found it yet. I’m not a trainer, and I’m not a nutritionist. I’m just a dude who found a way to lose 150 pounds that works. And I wanted to share that. So what do I give a cup about? You. Every single one of you. If you have any questions, don’t hesitate to ask. Please. Because I do care. I do give a cup.